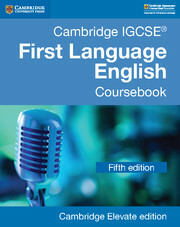 With travel writing, magazine articles, blogs and extracts from writers such as Roald Dahl and D. H. Lawrence, this coursebook helps students develop their English Language skills through an active, communicative approach. The first unit in each part covers text analysis, summary writing and note-taking. The second deals with directed writing and the third looks at descriptive and narrative composition and includes suggestions for coursework topics if your school follows this pathway. 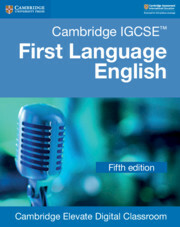 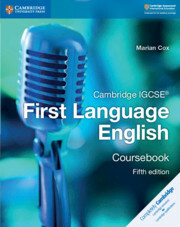 Suggested answers to coursebook questions are included in the teacher’s book.